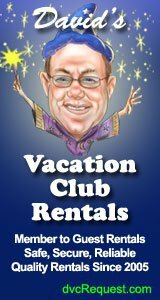 You’re ready to buy into the Disney Vacation Club (DVC). You just have a few questions, and all of them involve the same concern. 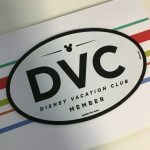 You want to get your DVC membership at the perfect resort, a place where your family will hear those glorious words, “Welcome home!”, for decades to come. It’s a big choice that will impact your family for decades to come. Here’s a guide on how to decide which DVC resort is best for you. We can dance around the subject, but let’s be honest. For a lot of people, upfront costs are the critical aspect of DVC membership. Your choice of DVC resorts may come down to money, and that will impact your decision. On the DVC Resale Listings page, two of the resorts are generally the least expensive in terms of price per point. 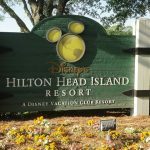 Those properties are Disney’s Hilton Head Island Resort and Disney’s Vero Beach Resort. They cost less for reasons that will come into focus throughout this discussion, but they are the most frugal places to buy, at least initially. This brings us to the second aspect of thinking about cost: maintenance fees. The two cheapest resorts in terms of price per point, Hilton Head and Vero Beach, are the two most expensive locations for maintenance fees. Their current rates are $7.72 and $8.53 per point, respectively. There’s a hidden third factor that goes into cost, also. The genius of the Disney Vacation Club is that you get to stay at a Disney resort using points that you own. Each trip you take is cheaper since you don’t pay for your hotel room. It’s a brilliant system, and you can extend the value even more. You need to pick a place that provides tremendous point value per night’s stay. What does that mean? Every resort has its own Points Chart, and some of them offer superior value. For example, you may stay at Disney’s Animal Kingdom Villas for as little as nine points per night. You’ll have to book a certain room type during a certain season, but it’s possible. As you debate where to buy, take a hard look at the Points Chart. You need to know which resorts have the “cheapest” rooms in terms of DVC points during the times you’re most likely to vacation there. And that brings us to another factor. How often will you visit? Will you vacation multiple times a year or once every two or three years? 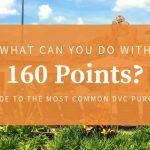 These answers will determine the number of points that you need to purchase. 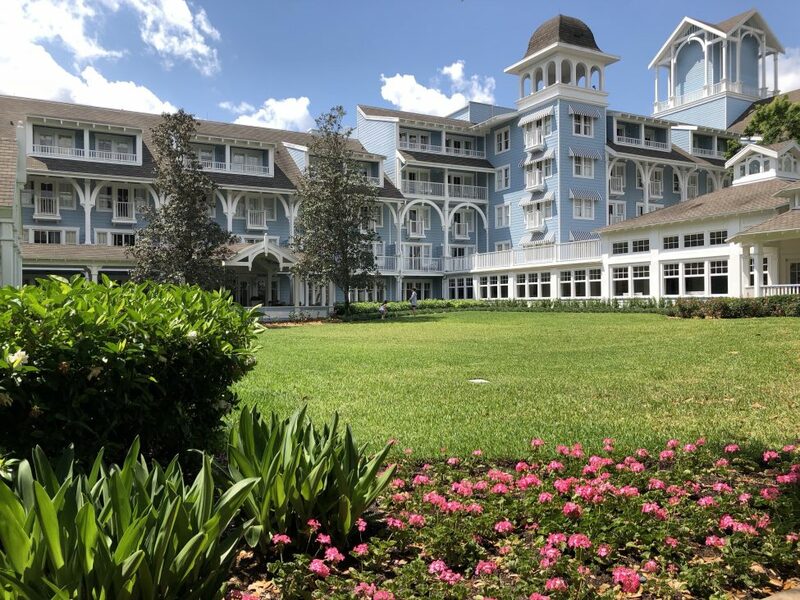 The one true law of DVC membership is that you should buy an ownership interest at the resort where you plan to stay the most. While some people feel more strongly about this concept than others, it’s a generally accepted philosophy, and the explanation is simple. DVC uses booking windows for its resorts. Anyone can book at any resort at the seven-month window. In other words, all properties are fair game at that point. You don’t have to own at a place to make a reservation when you’re within seven months of your stay. Your home resort expands this window to 11 months. Let’s say that you own at Disney’s Beach Club Resort. You can book a 2019 Christmas Day vacation there starting on January 25th, 2019. Should you want to stay at another resort like Disney’s Polynesian Villas, you couldn’t book the same trip until May 25th, 2019. Those four extra months may make all the difference in whether the resort has availability. During peak theme park traffic periods like Spring Break, summer, Epcot festivals, and end-of-year holiday season, the extended booking window is your salvation. As long as you book well before the opening of the seven-month window, you’re likely to get a room at your home resort. The booking window isn’t the only calendar consideration, though. 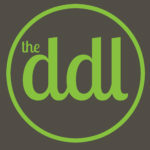 You should also evaluate the expiration date of the DVC contract. Some timeshare companies have lifetime ownership interests. DVC works a bit differently. A DVC agreement ends at a designated time. Some contracts expire as early as 2042 while others last until the 2060s! By purchasing a DVC contract at Copper Creek Villas & Cabins, you’ll have an ownership interest until 2068. Conversely, half a dozen DVC resorts have contracts that expire in 2042. Only you’ll know how much you should value the difference in contract length of up to 26 years. The one critical aspect I’ll point out is that you can deed DVC contracts to others, meaning that you could pass your ownership to a friend or family member. 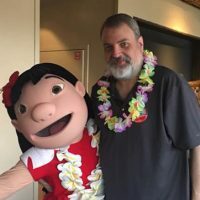 Even if you don’t plan to be around or still visiting Disney resorts in 50 years, someone else that you love could get a lot of enjoyment out of your contract. Do you plan to visit Hawaii a lot? Is the Happiest Place on Earth YOUR happiest place on Earth? Is Hilton Head or Vero Beach your favorite beach? 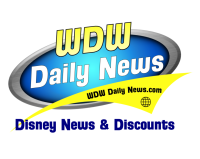 Is Walt Disney World your home away from home? By answering yes to any of these questions, you’ve introduced logistics into the conversation. 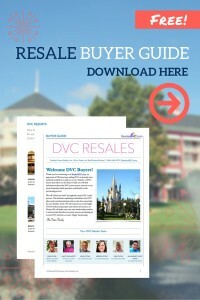 The location of a DVC resort is a huge factor in where you choose to buy. For example, Disneyland fans only have one option right now, Disney’s Grand Californian Resort & Spa. Similarly, Hawaii fanatics should buy at Aulani, a Disney Resort & Spa. For Walt Disney World fanatics, the conversation is complex. 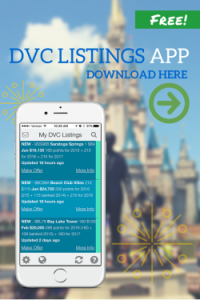 Most of the properties in the DVC lineup are located in Orlando, Florida. People who plan to make Walt Disney World their second home will want to buy at one of these places. The question is where. Logistics should play a huge role in this decision. If Magic Kingdom is your favorite theme park, you should buy at a monorail resort or one of the options at Disney’s Wilderness Lodge. These properties are closest to Magic Kingdom. One of them, Bay Lake Tower at Disney’s Contemporary Resort, is only a five-minute walk away from the front entrance to the park. Similarly, Disney’s Beach Club Resort and Disney’s BoardWalk Resort have a back entrance to Epcot. Buyers who love the World Showcase should buy at one of these properties. Shopaholics and foodies will want to stay close to Disney Springs. 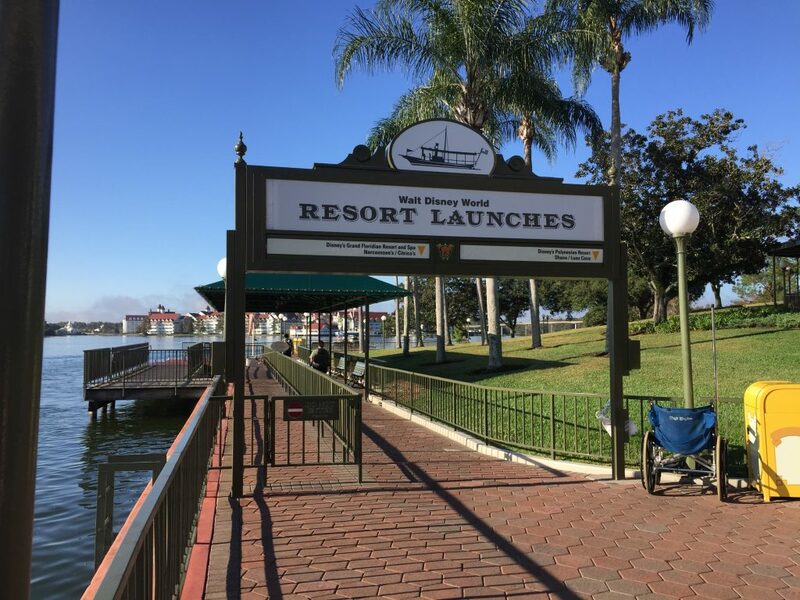 The hotel of choice for that location is Disney’s Saratoga Springs Resort & Spa, which is only a walking bridge away from the entertainment district. You’ll also want to think about transportation options. The monorail resorts have quick access to Magic Kingdom, and Disney’s Polynesian Village Resort is even better. You can walk out the back of this property to board a monorail directly to Epcot, so it’s a monorail ride away from two parks. Meanwhile, Disney’s Animal Kingdom Villas is in close proximity to Disney’s Animal Kingdom. It’s a haul to the other three theme parks, though. Even ride-sharing services like Uber and Lyft are scattershot in this region. Drivers tend to hang out where the action is, and that’s the area between Magic Kingdom and Epcot. The logistics variables are endless, but you get the drift. Think about location and available transportation options at the various resorts. Your family will have much better vacations when they spend less time on buses and more time at theme parks. Ultimately, your expected traveling party is the most important aspect of your choice. Do you have a large family? Are you part of a couple? Do you have children? How much space do you expect to need when you stay at a DVC resort, and which features do you need in your hotel room? That’s a lot of questions, but the answers all matter. Let’s narrow this discussion to Walt Disney World. A large family that includes young children should give special prioritization to Disney’s Animal Kingdom Villas, a hotel that’s also a functional zoo. When you stay here, your kids will have an unforgettable set of memories. Even if they age out of loving the place as teenagers, it will remind them of a happy childhood as they get older. These are the sorts of factors you should anticipate with your purchase. Other factors also come into play. People who need big hotel rooms should think about buying at Disney’s Old Key West or Disney’s Polynesian Village Resort, both of which have gigantic studios. Alternately, you should buy enough points to book a one- or two-bedroom suite for each stay. You’ll have the added benefit of a washer and dryer in your room when you book a DVC suite, too. Onsite resort amenities are also hugely important. The Stormalong Bay pool area at Beach Club is reason enough to want to stay there all the time. The new Disney Skyliner will make Disney’s Riviera Resort instantly appealing. The hotel lobby music and elegant ambience at Disney’s Grand Floridian Resort & Spa will add some class to your vacation. 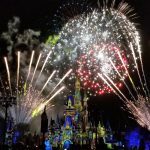 Which Disney resort is right for you? Only you can say for sure. Hopefully, the guidelines in this article will help you to make a more informed choice, though. Factors like cost, contract length, amenities, logistics, and room size all matter to varying degrees. There’s no single right answer to the question, but there’s also a comforting piece of knowledge. EVERY DVC resort is wonderful. You can’t make a wrong choice with any of them. The only real mistake would be not to join DVC.